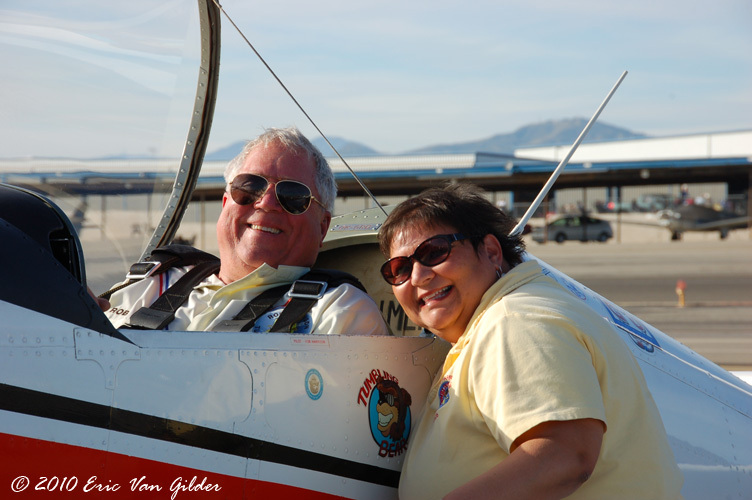 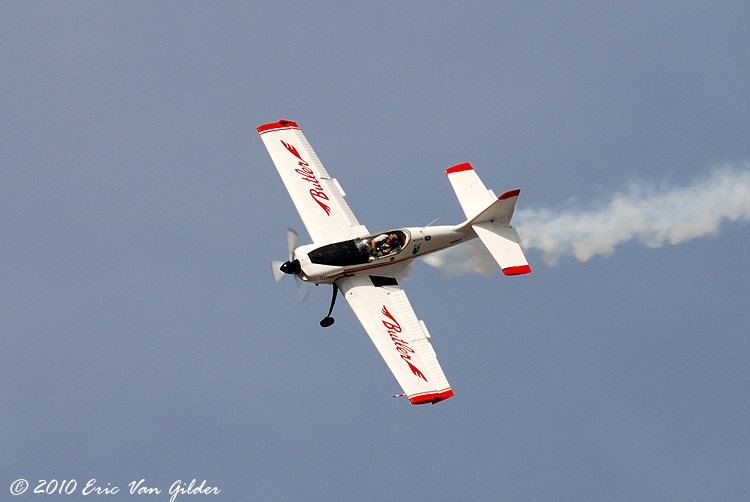 Rob Harrison flies the Zlin 50 "Tumbling Bear". 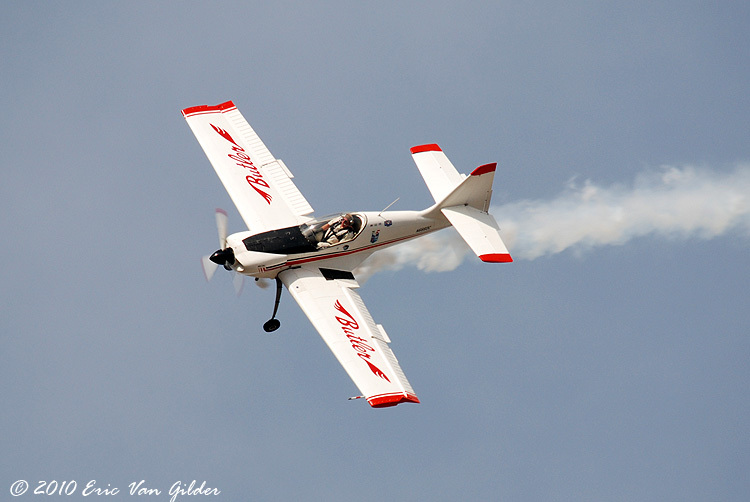 The Zlin 50 LX is manufactured in Czechoslovakia by Moravana S Otrokovice. 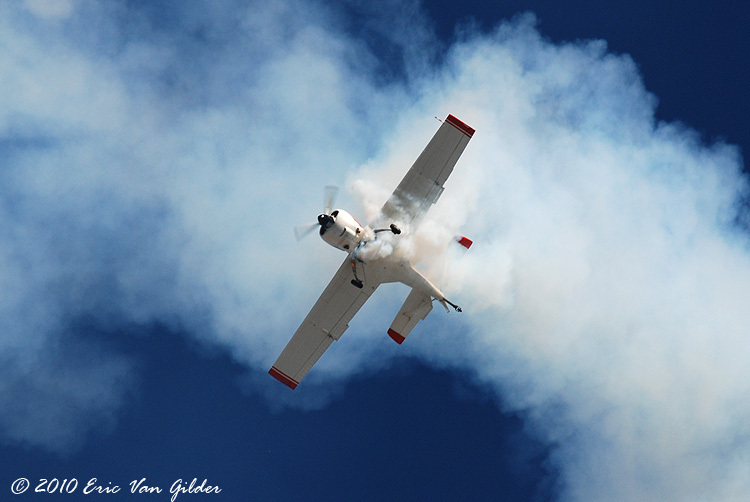 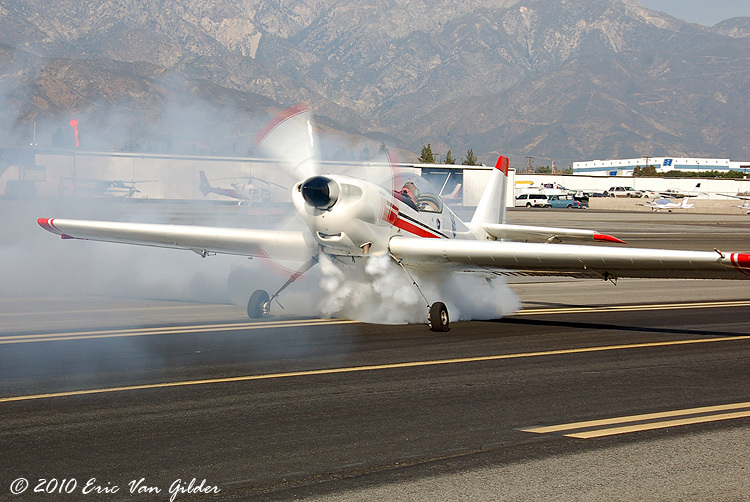 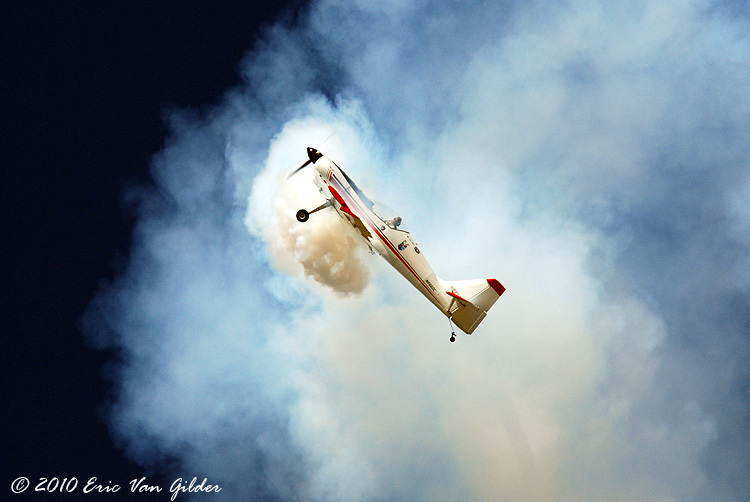 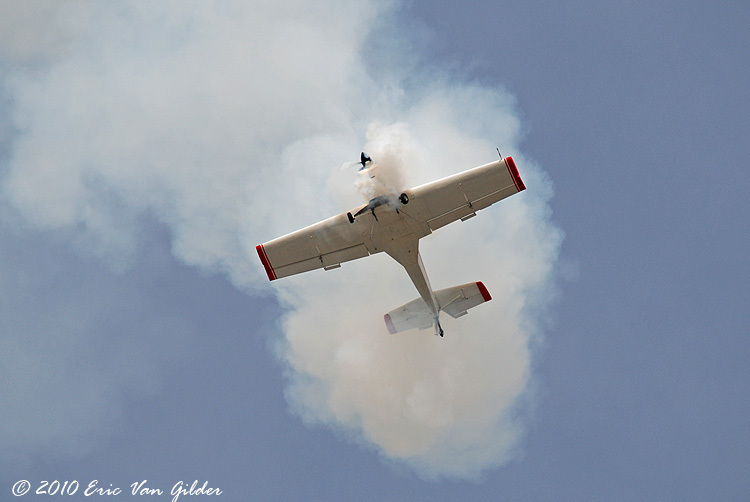 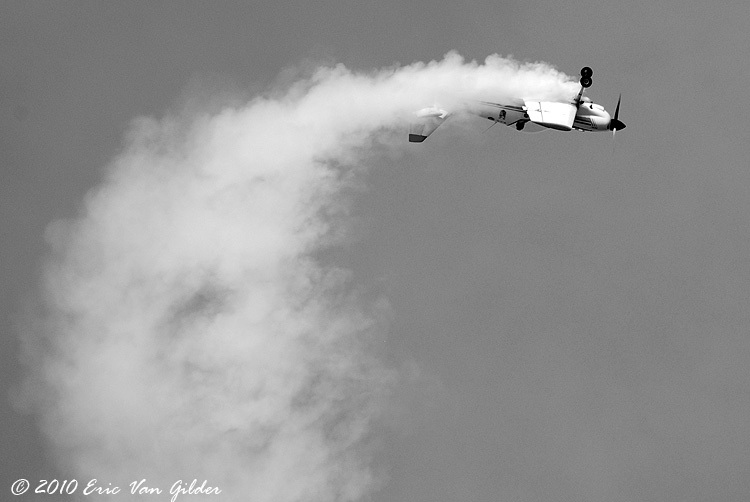 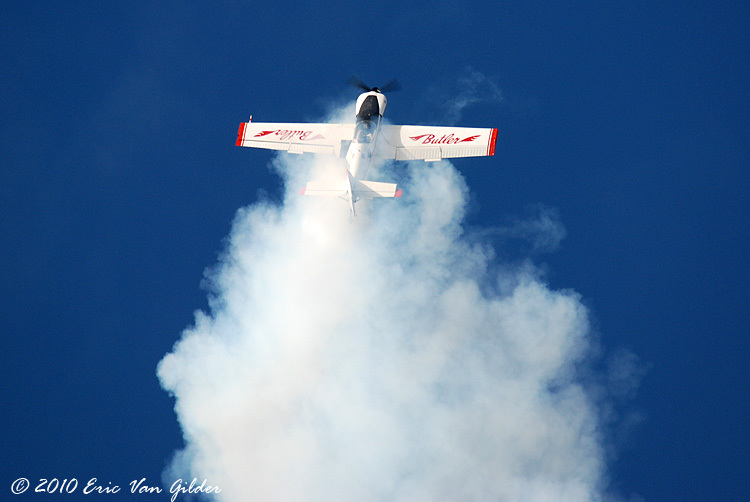 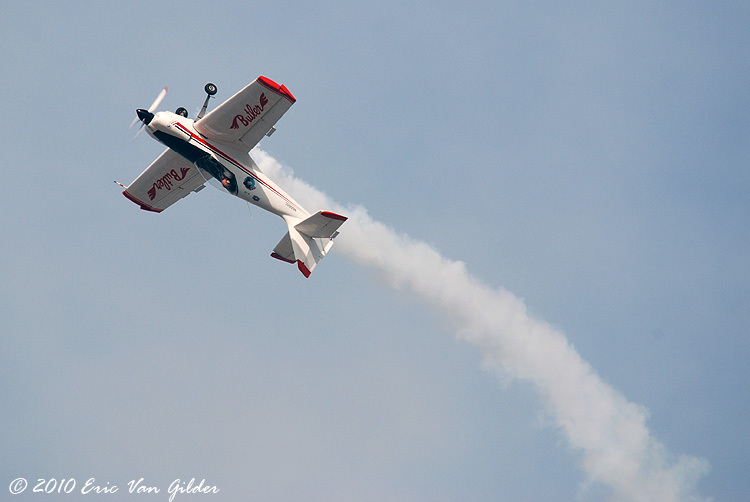 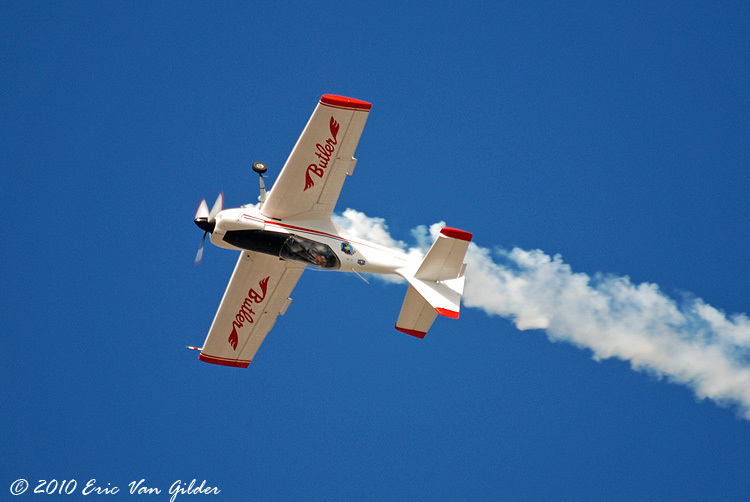 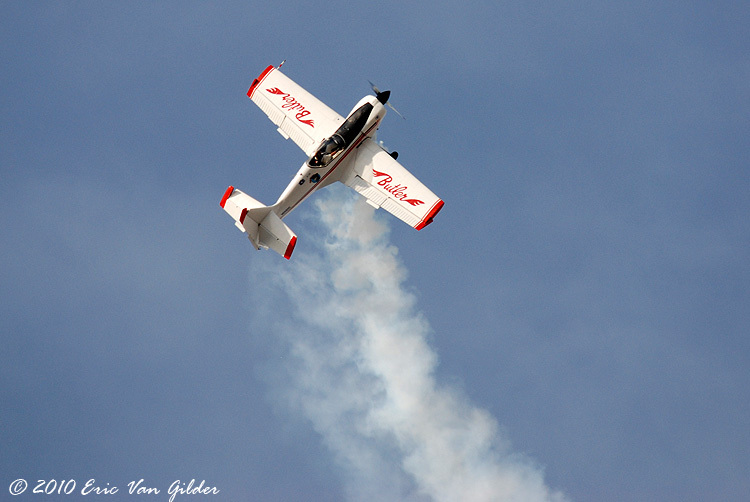 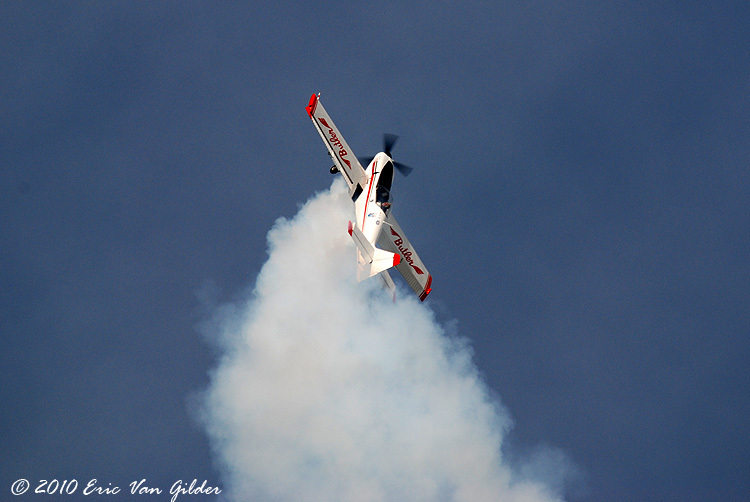 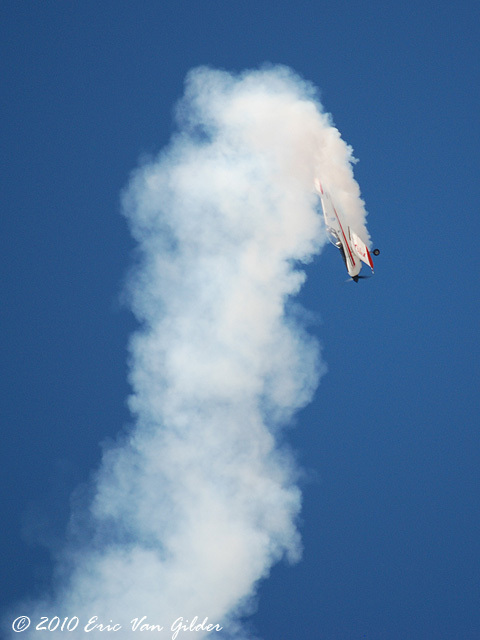 Rob has been thrilling airshow audiences for many years with his aerobatic routine. 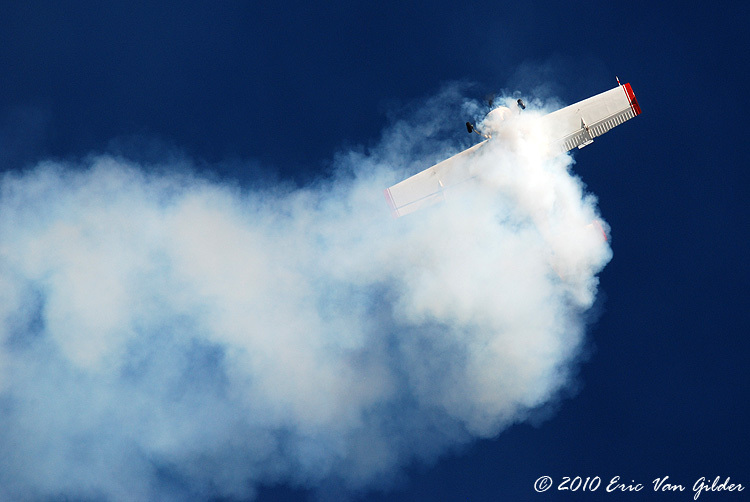 At the end of his routine, he pulls up to show center and does a NASCAR style "burnout", turning in a circle with the smoke on. 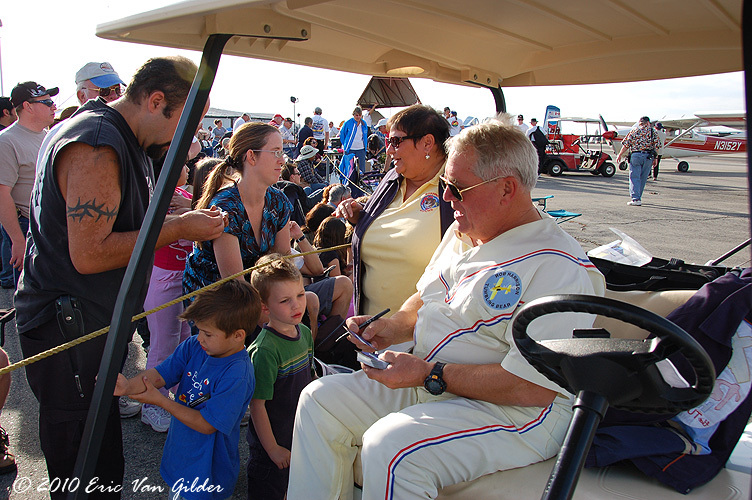 He loves the crowds as well and can be seen signing autographs and taking pictures with the fans when he isn't performing at the show. 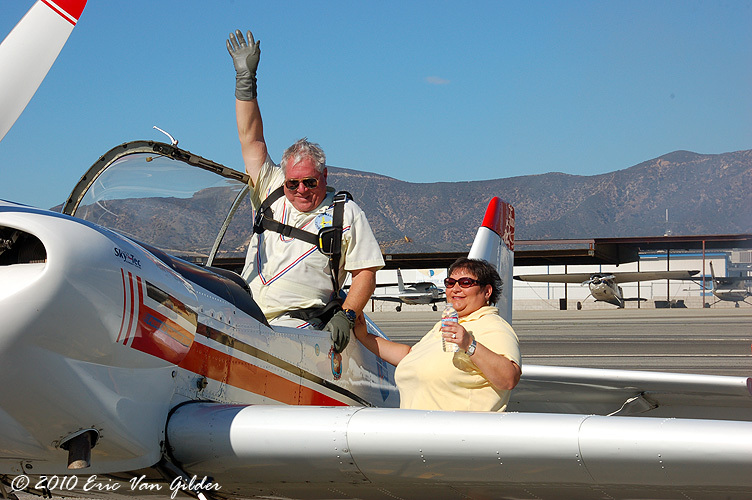 Cable Airport is Rob's "home field".